A few weeks back, American Express Meetings & Events released the highly anticipated 2018 Global Meetings & Events Forecast. Now in its seventh edition, the Forecast aims to help meeting professionals and executives strategically direct and make effective use of their meeting investment to demonstrate the value of managed corporate meetings programs. Looking ahead to 2018, the meetings and events industry is thriving. We’re seeing steady and increasing investment driven by increased competition for global market share, and robust investments and consolidation across the industry. Across the globe, the continued localization of meetings programs will be a key trend next year, as meeting professionals seek to add flexibility and nuance to offerings that address specific market needs. As meetings are more frequently being recognized as growth enablers within organizations, there is ongoing opportunity for the meetings and events industry to create value and expand its impact and reach, which will help fuel innovation and further investment. Prevalent themes in this year’s Forecast that are of particular interest include the growing importance of Strategic Meetings Management (SMM) and benchmarking, as well as the link between compliance and security. Attendee engagement and tech-driven experiences will also continue to dominate conversations this year. Meetings and events are increasingly at the forefront of how companies promote themselves, their products and their services. Establishing a meetings strategy is a critical first step toward gaining visibility and consolidating meeting spend. For this reason, the role of Strategic Meetings Management Programs (SMMP) within corporations is continuing to gain momentum in Canada and will continue to do so into 2018. Stemming from this heightened awareness, companies are beginning to recognize the importance of evaluating and quantifying the effectiveness of meetings and events for their company’s growth, leading to a greater interest in benchmarking. However, because no two events are alike, and with so many elements at hand, benchmarking meetings and events is not easily done. Despite these challenges, companies should be thinking about utilizing benchmarking to ensure they are maximizing their return on investment. A time over time analysis allows companies to identify patterns and possibly compare with other companies to remain competitive in their industry. Our research indicates that advisory and incentive meetings are expected to account for 20 per cent of meetings activity in Canada in 2018, which is much higher than the U.S. This growth suggests that Canadian businesses are interested in driving growth and increasing their revenue in 2018, a positive indication for Canada’s economy. As meeting owners are prioritizing attendee experience and engagement over scale, we also expect to see shorter, more focused meetings. The Forecast indicates a trend toward localization. Even corporations with global SMMPs acknowledge that business happens locally. In Canada, for instance, taxes and bylaws differ from province to province. A Vancouver-based meeting planner may not be mindful of some of the important nuances that come into play while planning an event in Montreal. It has always been a good value for businesses in both Canada and the U.S. to host meetings in Canada. With the favourable exchange rate and uncertainty across the border, we expect that more U.S. corporations may consider meeting locations in Canada. 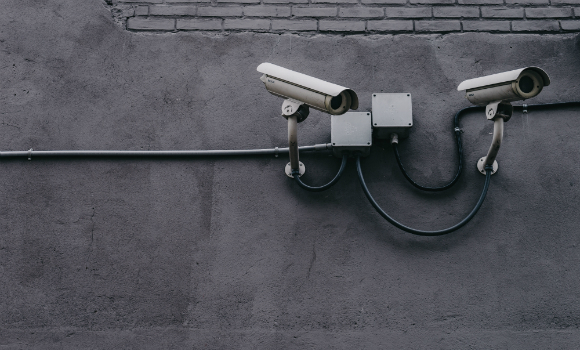 Terrorism, weather events, and political unrest highlight the need for employees and meeting attendees to follow processes for booking and documenting travel. It also means meeting owners and planners need easy, comprehensive access to traveller information, so they can help identify and mitigate risk when emergencies arise. Attendee security remains top of mind for meeting planners and owners. Safety drives decisions around mode of transportation, destination, property type, and meeting activities, and shapes meetings and events policy and programs. Safety and security have always been at the heart of risk management policies. As the risk of political or economic uncertainty in a region increases, companies are recognizing the importance of implementing meetings and events policies and overall compliance. Scrutiny of security measures at venues is also becoming increasingly more intensive. While we, along with our hotel partners, have always had strong security measures in place, the focus on preparedness is much higher than in previous years. There is a growing trend for companies to send planners to hotels to assess security measures before contacts are signed. Additionally, it has become common practice for organizations to send corporate security to any meeting with (usually) 40 or more attendees, a practice historically reserved for large-scale meetings only. In 2018, we expect that technology will continue to make an impact on the overall end-to-end management of the delivery of meetings and events. Today’s meetings attendees expect there to be an online experience available to enhance their face-to-face experience. They are eager to deploy technologies that facilitate personal event attendance goals, such as networking and interacting more deeply with content. Globally, technology is continuing to impact meetings and events in positive and interesting ways. The rising prevalence of facial recognition, for example, will benefit the audience experience. Success begins with getting to know your audience members; what motivates them, what makes them engage, or disengage. Facial recognition technology allows us to get to know attendees and tailor event designs to create meaningful, personal connections with each attendee. This will ultimately help drive behavioural change and create greater value for your business. The rise of mobile apps is another element in meetings technology that is continuing to evolve in interesting ways. Mobile apps at meetings and events are becoming more and more mainstream. Attendees value personal relationships, and mobile apps allow them to seek out ways to make meaningful connections that can help them achieve their goals. Since engagement goes beyond face-to-face conversations, mobile apps provide attendees the ability to engage with others through a digital platform and continue the conversation, even after an event ends. The success of any event hinges on the attendee experience. You want attendees to be enthusiastic about coming, to be engaged while they’re there, and to leave feeling that their experience was worthwhile. 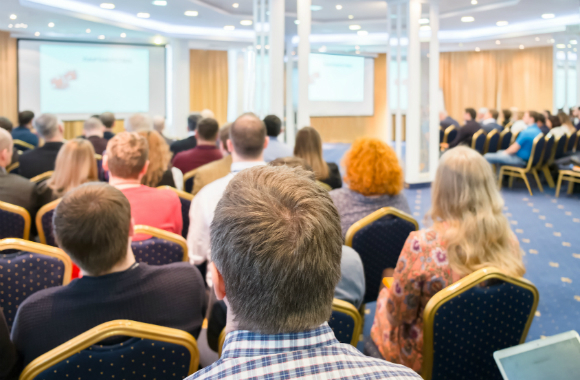 Meeting owners and planners are increasingly working to find creative and cost-effective ways to enhance the attendee experience, incorporating pre-meeting prep work and post-meeting knowledge checks rather than extending the length of the event. The 2018 Forecast suggests that an emphasis on providing unique, curated, local experiences at meetings and events will continue to grow. Bringing experiences onsite saves transportation costs and ground time for attendees. Plus, it allows company budgets to be more reasonable since it prevents them from having to send employees to multiple locations though out a meeting or conference. It’s no secret that a major topic of conversation following a meeting or conference amongst attendees is the food, an important contributor to the overall event experience. We have already seen a shift in the food available at meetings and events from rich, heavy offerings to lighter, simpler and wholesome offerings that tend to appeal to a wider range of varying dietary needs. The desire to create unique experiences has led to an increased demand for unique properties. The use of non-traditional space represents a small portion of the overall property demand across regions, but this demand is expected to rise and outpace growth in demand for other property types. While the complexity of meetings and events might be growing, meeting planners are excited about the “unique” factor. Many see the need to match non-traditional meeting spaces with increasing client demand for unique venues as a particularly exciting development moving forward. While there are many geopolitical influences that will continue to evolve and create uncertainty, the outlook for 2018 is very optimistic. An increased focus on attendee experience and strategically managing meeting investments will continue to drive the Canadian industry forward. Yma Sherry is Vice President North America, American Express Meetings & Events. For more information, email Yma at [email protected]. This entry was posted in Event Branding & Marketing, Event Operations, Industry Research, Meeting Checklists, Meeting Community, Social Media & Technology and tagged 2018 Global Meetings & Events Forecast, American Express Meetings & Events, attendee experience, hot topics, meeting durations, meeting types, meetings, meetings industry forecast, security, strategic meetings management, technology, trends, Yma Sherry.